It all started from such humble origins. They just wanted some nice house numbers for the house that they had just remodeled. They couldn’t find any. So after some trial and error, they made some custom aluminum house numbers. For good measure, they decided to create a set of matching vinyl mailbox numbers and a custom curb stencil in the same typeface. They were happy with what they had created. Then an interesting thing happened. People started knocking on their door asking them where they had found their cool house numbers. Rick and Brandy McLain didn’t get up one morning yearning to form an American manufacturing firm. It just sort of happened. They made a few sets for friends and colleagues. They made a set for that guy down the street. They just kept making house numbers. They started thinking that maybe they could make a go of it. So in 2008 they founded Modern House Numbers and launched their website modernhousenumbers.com. In a few short months, Rick and Brandy turned a simple idea into a thriving business selling house numbers to modern dwellers across the country and around the world. Brandy was able to leave her job as an urban planner in 2010 and focus her full attention on running the business and fulfilling the growing number of orders. The photos just keep arriving. Rick and Brandy are a bit bewildered to see their Modern House Numbers attached to homes from Australia to Canada, California to Germany, and everywhere in between. 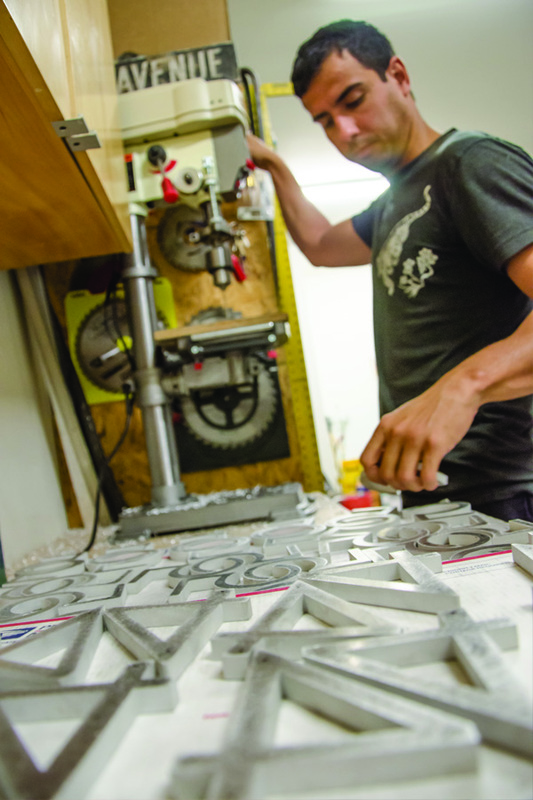 Many customers now work with Rick and Brandy to create their own custom house numbers. In the last seven years Modern House Numbers have become the house numbers to have for creative homeowners, designers, architects, property managers, and builders. Rick and Brandy knew that for their firm to thrive, their products needed to be made in America. 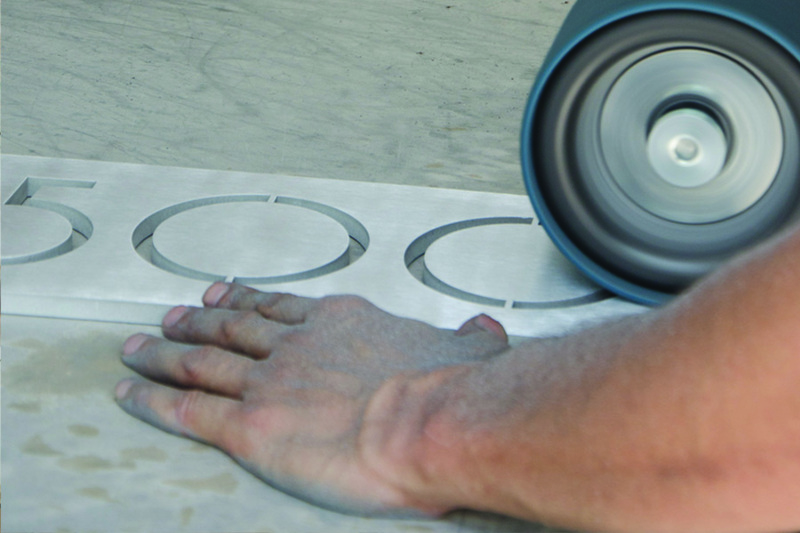 They are proud to say that each and every number is crafted by their amazing team in Tucson, Arizona. Rick and Brandy are proud to live and work in Tucson, their college alma mater. They both attended the University of Arizona Architecture program and graduated in 2004. I didn’t know until Rick and Brandy told me, but Frank Lloyd Wright created the foundation of contemporary architectural design in Arizona. Some great examples of Wright’s work in the Grand Canyon State include such examples as the glamorous Arizona Biltmore Resort in Phoenix, the prestigious Grady Gammage Memorial Auditorium in Tempe, and award-winning school of architecture, Taliesin West in Scottsdale. It is from this influence that Rick and Brandy mesh modern design with sustainable manufacturing practices to create modern house number products. And it doesn’t hurt that Arizona’s harsh environment is the perfect place to manufacture and test Rick and Brandy’s products. So if you are in the market for numbers for your home, townhome, condo or any other structure, check out the Modern House Numbers website. Rick, Brandy and their team would love to help you create exactly what you think your domicile requires. 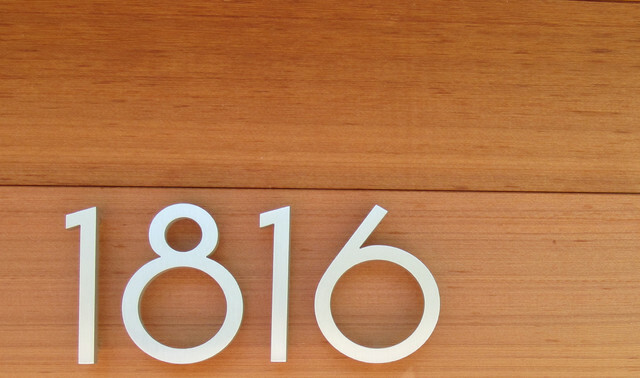 Modern House Numbers promises Americans like you and me a win-win proposition. You get exactly the numbers you need for the home you love and your purchase ensures that members of our extended American family working with Rick and Brandy at Modern House Numbers will be able to provide for their families and share in the American Dream. Such a deal!